3206 Kendall Trace, Fort Mill SC 29707 MLS#3495334. Pulte Home Corporation. 3206 Kendall Trace, Fort Mill SC 29707 MLS#3495378. Pulte Home Corporation. Beacon Knoll - Call me today 704-898-3617 to see it. MLS#3494854. RE/MAX LEGACY. This home is waiting to be filled with your memories! MLS#3494473. Allen Tate Ballantyne. Seller pays up to $4000.00 in closing cost with preferred Lender MLS#3495441. Pulte Home Corporation. Fabulous neighborhood offers community pool, walking trails and numerous social opportunities. A must see! MLS#3494430. Allen Tate Providence @485. Fair Oaks offers community pool, walking trails and numerous social opportunities. MLS#3495188. Allen Tate Providence @485. Whiteville Park - This is a very special property in Fort Mill - you will not want to miss it! MLS#3490660. Bliss Real Estate LLC. Award Winning Fort Mill Schools, large lot, No HOA, close to downtown restaurants and entertainment. MLS#3495298. Alexander Realty &Construction. Steele Meadows - The HVAC system was replaced last fall and they are including a brand new garage door opener key pad as well as a Ring video doorbell. MLS#3490007. EXP REALTY LLC. Home sits across from one of the many pocket parks in the neighborhood, a perfect spot to gather with neighbors, throw the ball with kids or play with the dog. A MUST SEE! MLS#3491136. Berkshire Hathaway HomeServices Carolinas Realty. This home is only 2 years old and is ready for you to make it your own. MLS#3494686. RE/MAX Executive. Massey's Amenities Include a Clubhouse, Pool, Fitness Center and Playground. Don't Miss Out! MLS#3494669. Dickens Mitchener & Associates Inc. Known for our energy saving features, our homes help you live a healthier and quieter lifestyle while saving you thousands of dollars on utilities bills. MLS#3494818. Meritage Homes of the Carolina. Known for our energy saving features, our homes help you live a healthier and quieter lifestyle while saving you thousands of dollars on utility bills. MLS#3494800. Meritage Homes of the Carolina. 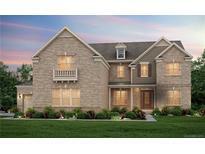 Balmoral - You won’t want to miss this one as it will go fast! ! MLS#3493965. Century 21 First Choice. Baxter Village - Stone patio and private wooded fenced back yard. Walking trails behind the house. MLS#3494181. Carolina Realty Solutions. Don’t Wait – MOTIVATED SELLERS - Bring Offer Today! MLS#3493895. Wilkinson ERA Real Estate. Close to Baxter and Kingsley shops. 20 minutes to Charlotte MLS#3493930. I Save Realty. Massey - Granite Counter tops, Stainless Steel appliances, central vacuum system, LED lights, 2 closets upgraded by Closets by design, Bamboo Shades, Built ins in great room, closets, and upstairs bedroom, Whole house Bose Surround Sound with Receiver, Hardwoods throughout and tile bathrooms, 6 zone irrigation system, Built in desks in upstairs bedroom, garden tub in master bath, walk in closets, Upgraded glass front door, TV's and mounts to stay, Gas log with blower, New Refrigerator and Dishwasher in 2018, New Hot water heater in 2016, New gas water heater 2016, TV's will stay. A fantasic neighborhood! MLS#3493678. MBA Real Estate. Upstairs you will find three additional bedrooms , two baths and a generous loft area. MLS#3470502. Fielding Homes LLC. The finished basement features a large bonus room and a full bath. MLS#3472681. Fielding Homes LLC. The Forester plan includes a private study off the foyer, a spacious gathering room featuring a gas fireplace, and a gourmet kitchen appointed with beautiful upgraded cabinets, a large furniture island, granite countertops, and a gas cooktop, Leading from the dining area is a covered outdoor living area, also featuring an outdoor fireplace Three additional bedrooms, two full baths, and a game room are located upstairs. MLS#3471210. Fielding Homes LLC. 10-5:30 Fri. and Sun. 1- 5:30 MLS#3472178. Fielding Homes LLC.